Protection & comfort for the whole family. 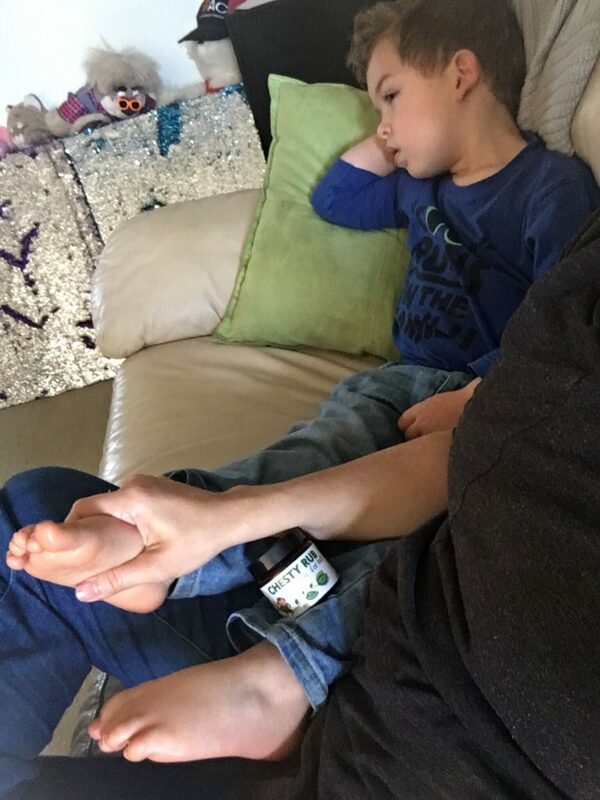 Safety info – Essential oils should not be used topically on children. Essential Oils should only be used on children highly diluted under supervision of a qualified aromatherapist or medical practitioner. See INDIVIDUAL PRODUCTS for FULL INGREDIENT LIST. Please note differing age range for essential oil blends. 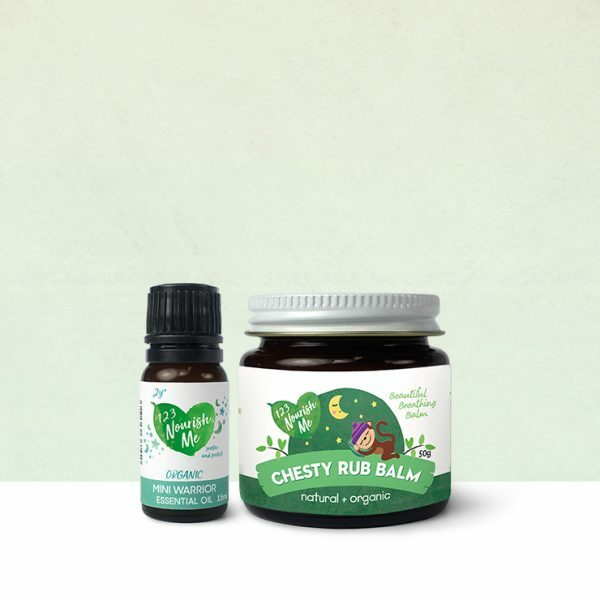 Free from sulphates, parabens, mineral oil, artificial fragrance and colours our chest rub is made from pure, natural, organic ingredients, natural emollients and the highest quality essential oils. Soothes aches and pains, coughs, colds and sniffles, 123 Nourish Me Chesty Rub is designed to comfort and soothe! What’s in Mini Warrior Essential Oil? Certified Organic Oils: Eucalyptus Oil (Eucalyptus radiata), Sweet Orange Oil (Citrus sinensis), Lemon Oil (Citrus limon), Lemongrass Oil (Cymbopogon flexuosus), Lavender Oil (Lavandula angustifolia), Tea Tree Oil (Melaleuca alternifolia). I have used this on both of my kids and love it. It’s very gentle on their skin with a beautiful smell, not too strong. It helps them sleep at night if they are a bit congested and I love that it has no nasty ingredients. Highly recommend. With Daddy and little miss 4 down with a horrid cold and mister 16 showing signs of going down the same path I got out our Mini Warrior oil and fired up the defuser. Worked wonders, not only did the house smell clean and fresh but the family soon improved. Man flu prevented again. We couldn’t have survived this winter without our favourite oil the mini warrior! Our little girl has Down syndrome & is prone to colds & respiratory problems, together with the chesty balm these are the only things that have worked & given her a comfortable nights sleep. Everyone who visits our home comments on its beautiful smell our whole family love it! My sister and her children came to stay with us recently and I had this oil in vapouriser for the duration of their stay. Their four month had a bit of a post nasal drip and ended up only waking once through the night, instead of three or four times. I sent my bottle of oil and the chesty rub home with her and she’s very impressed!